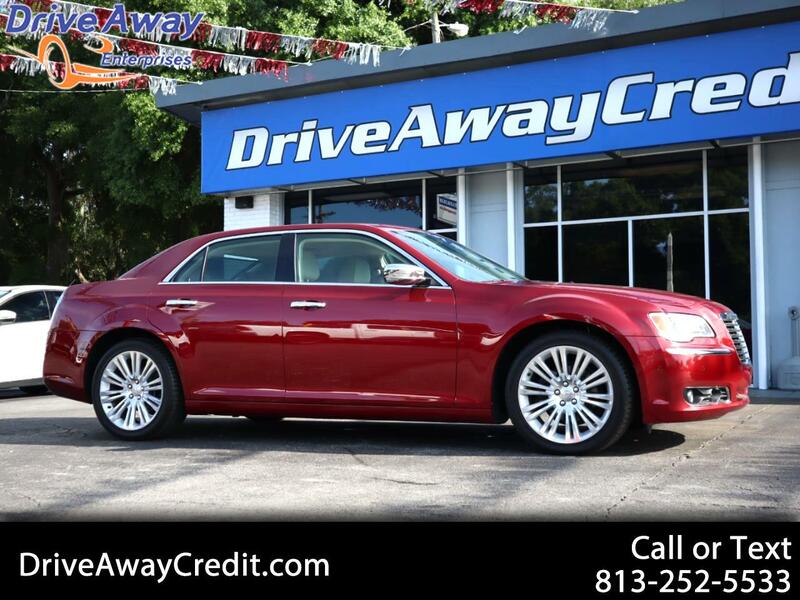 Proudly announce your arrival in our exquisite 2014 Chrysler 300C dressed to impress in Deep Cherry Red Crystal Pearl Coat. With upscale styling and refined taste, you'll be sure to turn heads. Under the sleek hood is a standard 3.6 Liter Pentastar V6 with its 5 Speed Automatic transmission producing up to 292hp with an efficiency of 31mpg on the open road. This sedan simply glides down the highway indulging its passengers at every turn. The aerodynamically designed raked-back windshield and forward-leaning fascia provide a sophisticated, yet aggressive stance with tailored finishes of the iconic grille, chrome accents and LED headlamps exuding an attitude unlike any other. The interior of the 300C is loaded with luxuries that you deserve such as a heated steering wheel, heated and cooled cup holders, and LED cabin lighting. Relax in leather heated and ventilated seats with memory functions and enjoy the technology of a central touchscreen interface, Bluetooth phone and audio connectivity, and a 6 speaker Alpine audio system with iPod/USB connectivity and satellite radio.